CCTV equipment resolutions are often a bit mystifying but in essence all the different resolution means is how many pixels are used to make up the picture. The more pixels (small squares of colour) you have the more detail you can display! 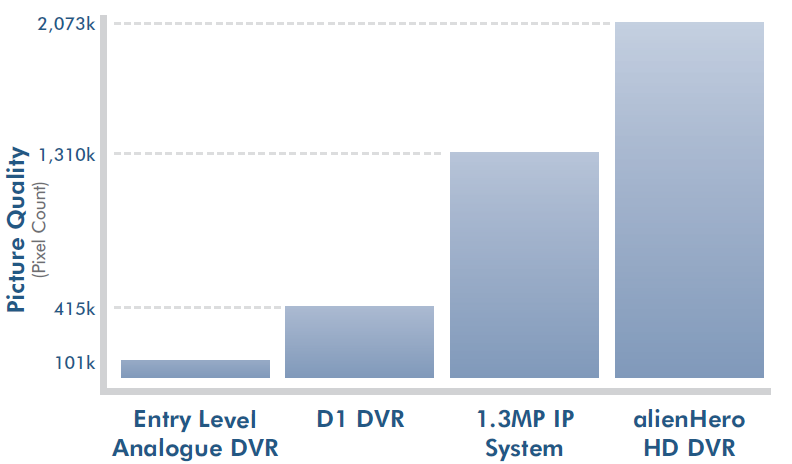 Most cheap analogue DVRs offer CIF recording, and the more expensive offer 4CIF. The alienHero HD DVR offers a staggering 1920 x 1080 pixel recording and live display. 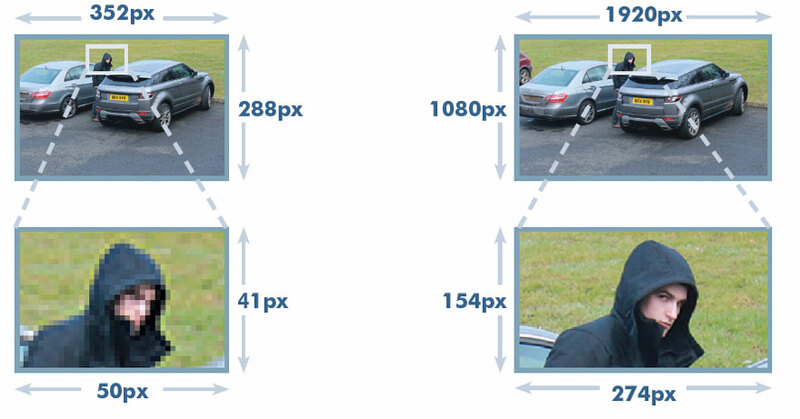 If you look at the diagram below you can see that it provides 20x more image quality than a cheap analogue DVR!